The first element of a perfect push notification is that the message must should contain information that is relevant to the user when they want or need it. Most users don’t appreciate 3 a.m. notifications about an upcoming event. 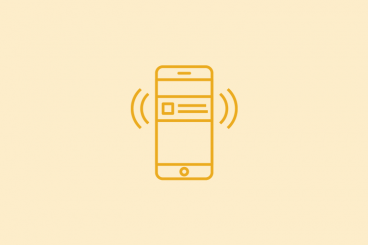 A push notification is a microinteraction that users glance at to get information immediately. An alarm is a prime example or the most common microinteraction. A good push notification takes this microinteraction just a step further, with more information, such as a sports score or reminder that a package is due to arrive. That second element is important: Notifications need to come at the right time to be relevant. That sports score means nothing a week after the game. It only works when it comes right as the event ends. And it needs to be at the right time of day. Most users don’t appreciate 3 a.m. notifications about an upcoming event. That can create a dilemma about what messages to send and when because there can be a conflict between immediacy and time of day. When in doubt, allow users to make that decision in the settings or just don’t send the push. Too many notifications can be a major turn-off. But too few notifications, and the user might forget about your app or website. You need a mix that’s just right. What determines that mix depends on the application of the website or app. A website like Facebook, for example, tends to provide too many notifications for many people. In many instances, the app would be popping up messages almost nonstop. The best notifications only come in when there is a reason, such as breaking news or a reminder to do something. That’s why allowing users to customize push notification settings is a vital part of the design. When users can dictate when and how many messages they receive, they are less likely to be annoyed by the outcome. There’s an art to creating a push notification that actually means something. You need short and direct messaging that gives users something they want to engage with. Tell the user something interesting in a concise manner. Give the user the option to learn more, while knowing that many users will never look past the original notification. Remind the user about the app where the message came from (for customer loyalty and branding). A push notification should never truncate or be longer than the available space on the screen. Keep in mind that users can get notifications on their phones (in multiple locations) on a wearable device (smaller space) or desktop computer (larger space). You should design and write the text for the smallest space where the notification will appear. Users need to be able to read and understand the message at a glance. You’d be amazed at how many apps send the same notification repeatedly. If you need to re-engage with a user via push notification, have several messages to send that say different things in different ways. And if the user don’t engage after that, they might be a lost cause. Use a mix of copy to help engage users. A mix of questions, statements and even emojis can help make your notification seem more personable and real. As with any web-based interface, great copy can be one of the best ways to create a meaningful engagement. Don’t be afraid to show your brand personality in notifications either. If users connect with your brand as a light, fun way, that can flow into notifications as well. From the user end, most push notifications are received in a way that feels like a personal message. Information is coming to them directly on their device. Make the most of that personal connection with language that entices users to interact with you. It gives users the information they want or need right now. It gives users a way to find or more or continue the engagement. Every notification should link to the exact information pushed. Don’t send users on a wild goose chase. And don’t make users tap (or click) multiple times to learn more. The biggest thing to keep in mind when thinking about designing the perfect push notification for your website or app is that it has to make sense for the user. Frequently I get notifications that don’t provide enough context for me to interact with them. They seem like random snippets. That’s not a good push notification because it does not make sense to me. Practice consistency and clarity so that you send something users will understand. And then test, test, test. Pay attention to analytics data and metrics. What messages get the best response? What messages fall flat? You’ll learn a lot about what users do and do not want if you pay attention to their actions. Every push notification a user gets should feel like it is just for them. It has the right message at the right time in the right place. Sounds pretty simple, right? As you know, it can be pretty tough to design effectively. It takes a lot of testing and user feedback to truly get it right. Don’t be afraid to use push notifications though; they can be a great compliment to your website or app. Some of the model notifications come from Facebook. While some users think they get too much from the social media giant, the platform offers plenty of customization options so users can control what pops up on the screen. The best thing to do when designing push notifications is to think about yourself. What makes you stick with or ditch an app? How do push notifications play into that decision?